Appraisals establish the current value of jewellery for insurance or estate purposes. The insurable replacement value established can also be used to determine resale prices. Estate value is made for probate. Please state which appraisal you require as there is a major difference in values. Each component of the jewellery is meticulously checked to establish karats, weights, clarity, colour and dimensions. In the event of an insurance claim, this information is used to ensure that the replacement piece matches the original jewellery. Each item is photographed to further this level of accuracy. Only a Gemologist can give a formal written appraisal. Many insurance companies require updated appraisals every five years. 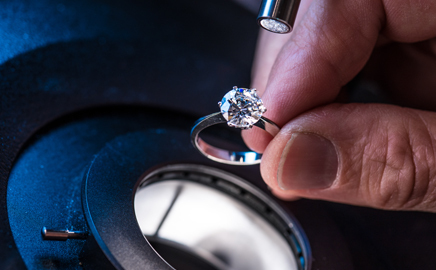 Same day service items must be booked by appointment with our Gemologist. Drop off items must be received by the end of business the Saturday prior to Appraisal Day. Appraisals cost $75 per appraisal.